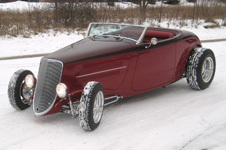 This Tri-Coat Candy Red Speed 33 was built by American Speed Company for local customers, Bob and Connie Gula of Saline, MI. 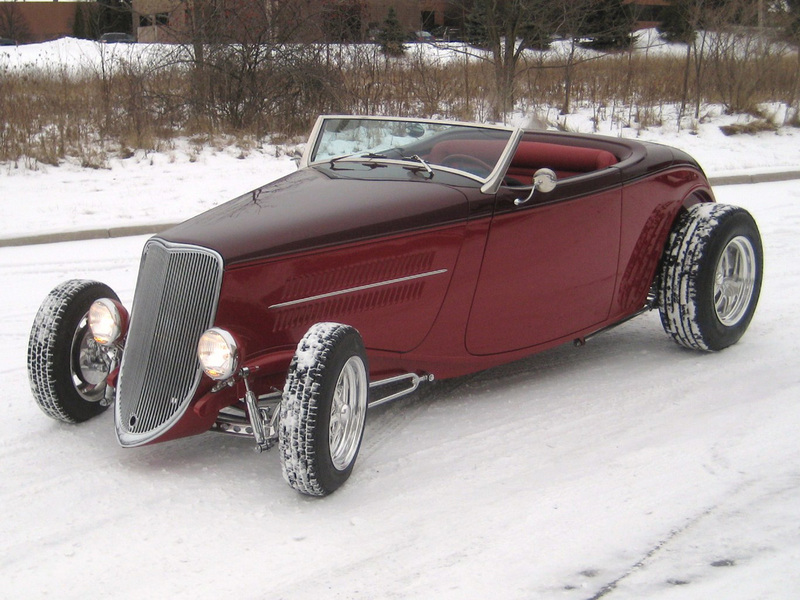 Debuting at the 2014 Detroit Autorama, this Speed33 is powered with a 351 Windsor engine and 4 speed AOD transmission. 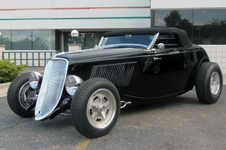 It has a Roadster Shop chassis with an independent front and rear Heidt’s suspension. 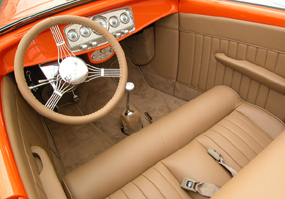 The interior of this ’33 was done in-house at American Speed Company, and is accentuated with Spinneybeck Cashew leather and Birdseye Maple woodgrain hydrographic accents (a method of applying printed designs to various materials or surfaces). The convertible top is made from German Happich material, with a herringbone weave pattern on the inner side, stretched over a chrome top stack frame. 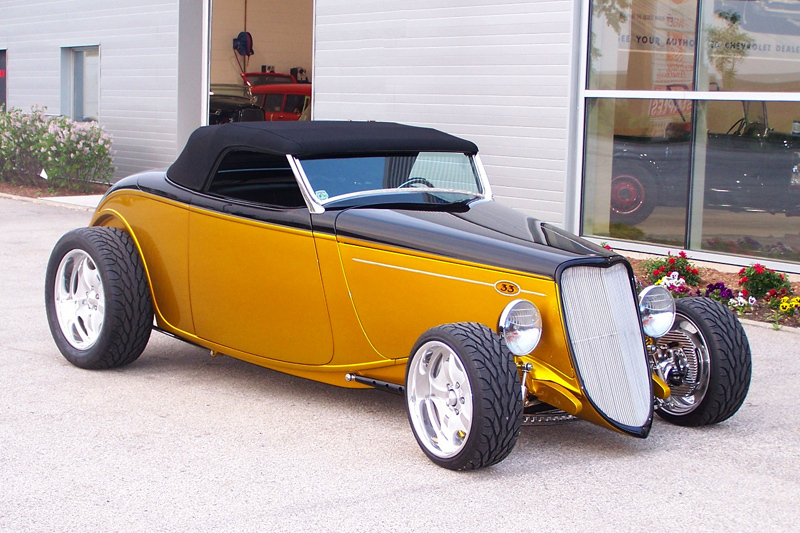 With lots of additional chrome and details throughout, this build justified its’ 1st place win in the Altered Street Roadster Pre-’35 Class, at its’ debut! Great job to all involved with this build and congratulations to the Gula’s. Power and great looks brandish this black, fendered Speed33, owned by Danny Shaffer of Bakersfield, CA. This impressive Speed33 will roam the streets featuring a Jon Kaase “Boss Nine” 520ci motor with 680hp. 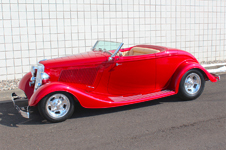 With a fully independent, front and rear Kugel suspension system, and a Lobeck’s chassis, built by the crew at Precision Hot Rods (formerly of Lobeck’s), this car will surely turn heads. One-off custom wheels from Curtis Speed/Evod Industries will transfer the power to the pavement as well as liquefy rubber. 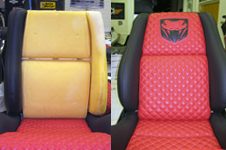 To accent this detailed build, the custom interior was done in a plush bomber brown leather. 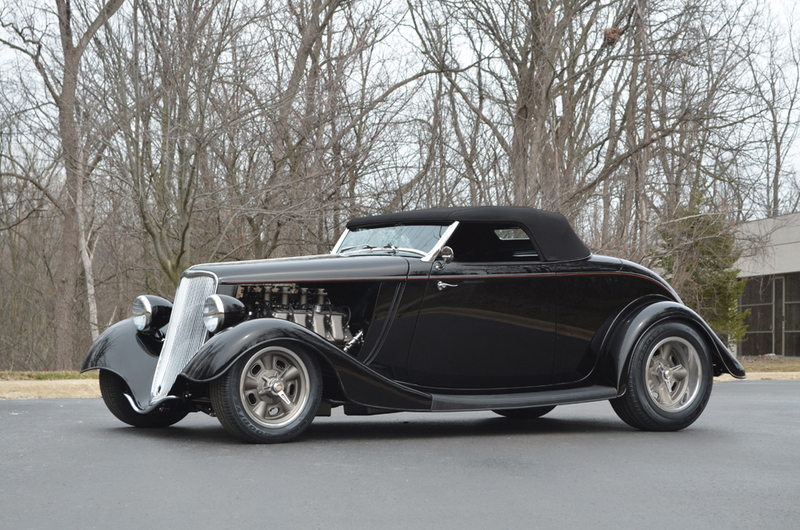 Built by the team at American Speed Company, this exquisite vehicle made its debut at the 2013 Detroit Autorama. 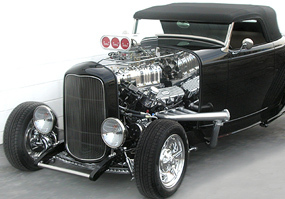 In January, 2014, it was on the road again and took second place finish at the Grand National Roadster Show in the Altered Street Roadster class. 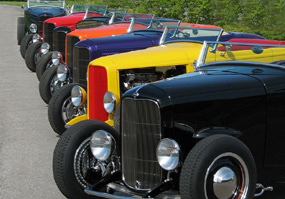 Next stop, the 2014 LA Roadster Show, in Pomona, CA. This is one sleek Speed33. 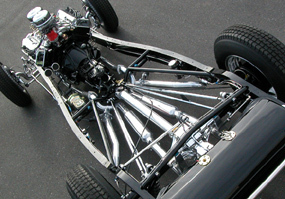 Built by the Team at American Speed Company, the vehicle has a Lobeck’s open wheel traditional style chassis, and a classic Chevy 350 small block engine with an Inglese 8-stack injection system. It runs with a Tremec TKO 5 speed transmission. 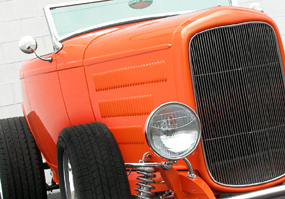 To compliment the vehicle, it has SO-CAL knock-off cast aluminum wheels with Firestone dirt track tires. It has a flawless, black exterior finish. The reflection of the lustrous black paint, makes you think you are looking into a mirror. It was accomplished by Greg Dutton Painting, a local body shop outside the Detroit area. 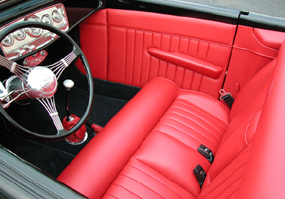 The vehicle also features a custom interior with pleating accents throughout, in black Italian leather. 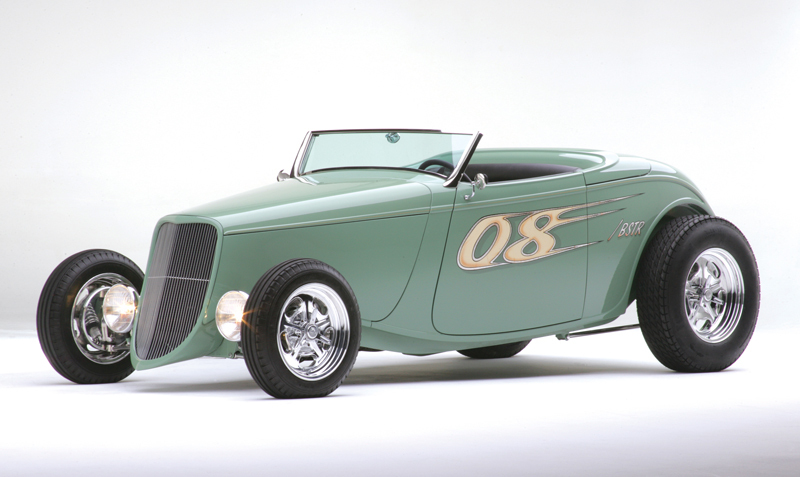 Owned by Ty and Linda Tupper from Aurora, Ontario Canada, this vehicle debuted at the 2012 Grand National Roadster Show in Pomona, CA. 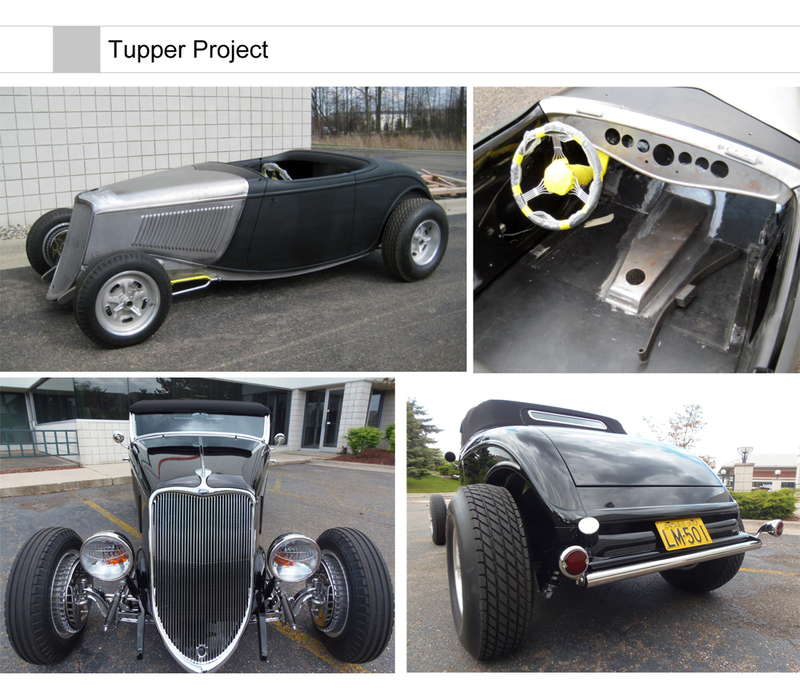 In a highly competitive classification for “Altered Street Roadster”, the Tupper’s took home the second place award in its’ initial appearance. Its’ next stop was the Detroit Auto Rama 60th Anniversary Show, where it was picked by Street Rodder Magazine, for a Top 100 Hotrods of America slot. Since then, it has been cross country to both the Good Guys PPG Nationals in Columbus, OH as well as the NSRA Street Rod Nationals in Louisville, KY. In September, 2013, Tupper’s Tuxedo received an invitation to attend the inaugural Cobble Beach Concours d’Elegance, in Georgian Bay, just north of Owen Sound, Ontario. At this prestigious event, this car took home the first place award in the category for Street Rods and Hot Rods to 1956. Continuing on the show circuit, the Tupper’s traveled to Concord, NC in October, 2014, to attend the Good Guys Southeast Nationals, at Charlotte Motor Speedway. There, Tupper’s Tuxedo received the Tucker’s Builder’s Choice Award. What a way to top off another event! Roaming the streets of Windsor, Ontario Canada, classic good looks and modern tech appeal to this build featuring a custom rear rollpan and bumper accentuating the glamorous Kugel IRS and traditional front suspension, with Billet Specialties wheels. This two-toned black over burgundy Speed 33 is powered by an EZ EFI 351 Cleveland. 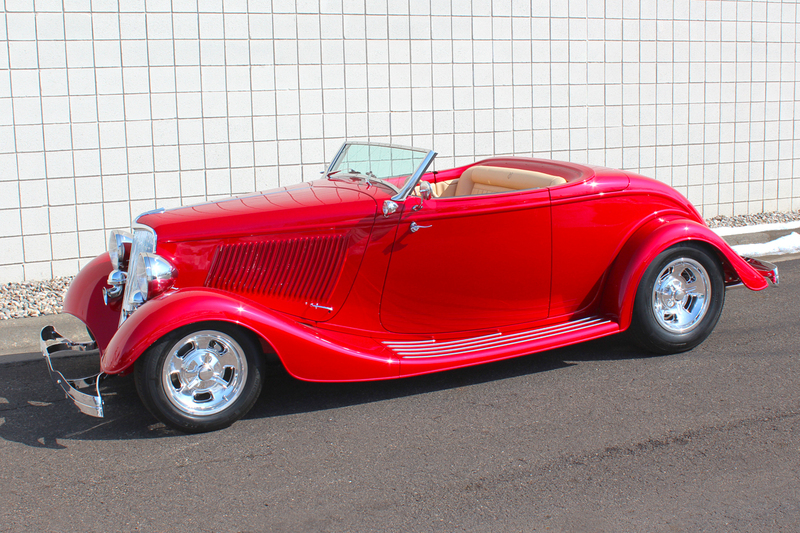 Built as the first hot rod in a collection, this one is destined to be the highlight of the bunch as it is built to drive as well as look great on the road. It presents a pretty mean stance from all angles. The interior theme features carbon fiber accents as well as rich black leather throughout. 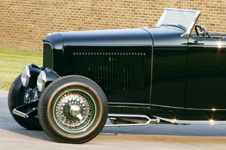 During the Summer of 2012, the vehicle was on display at the34th Annual Concours d’Elegance of America Show in Plymouth, MI as well as the 43rd NSRA Street Rod Nationals in Louisville, KY. Surely a crowd pleaser! Here is a recent roller project completed by the American Speed team – ready to head on to the customer for them to complete – yes, partial builds are available from American Speed and can be a great way to get some of the “hard stuff” done and allow you more time to enjoy the build! 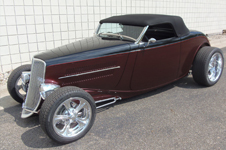 This Bakersfield Beauty was completed in 2011 and is owned by Danny Shaffer. It was built by American Speed Company, in conjunction with Special Projects Inc. of Plymouth, MI, and sports a Roush 427 ISR. This “power plant “ sends over 530 hp to the Billet Specialties 5-spoke rear wheels. It also features 4R70W tranney with a Kugel IRS and a quick change rear end. Danny attends all of the high end, West Coast venues with this classic Speed 33 open-wheel roadster. He currently has a full-fendered build underway at American Speed slated to debut in January, 2013. Stay tuned for a glimpse of what’s to come. 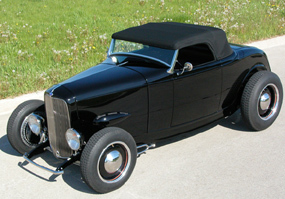 Built by the Roadster Shop in Mundelein, Ill.
American Speed Company's first turnkey customer Mr. Keith Crain, a local Publisher and Auto Industry expert, commissioned a Speed33 build around his provided 4.6L 4V Ford Mod Motor and 5 spd drivetrain. The team at American Speed took the challenge and came back with astonishing results. 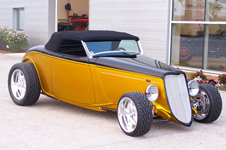 This fully fendered Speed33 was built upon a Roadster Shop fully independent suspension chassis that was made to drive with powder coated components and downplayed bright work. Nonetheless, the build execution is as nice under as it is up top. Featuring the newly available steel 33/34 fenders and rubber running boards, the fender build portion went very well with the American Speed team picking up several key tricks to assisting the installation. Look for more features coming on "building a fendered Speed33." 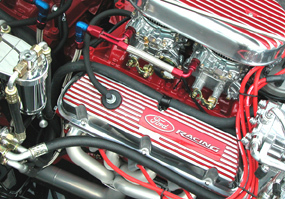 The 4.6 motor is wide with dual overhead cams, and required a custom hood side blister that started life as a So-Cal piece - now featured in their catalog. This Speed33 runs through the gears very nicely with full windshield wipers, stereo system and climate control. The interior is wrapped in a beautiful Spinneybeck Italian leather color coded to match the custom exterior color as well as dark Navy top. Marty's House of Kolor Tangelo Pearl Speed33 was fully built by American Speed and our fabrication and paint partner, Special Projects. Conceived by Marty and executed by American Speed, his Speed33 is motivated by none other than the famed Roush 402 IR pumping out 523hp per the official dyno sheet. His build debuted at the Good Guys Columbus show in 2009, and quickly became famous throughout Central California with his Speedway Engineering Quick Change equipped Speed33. 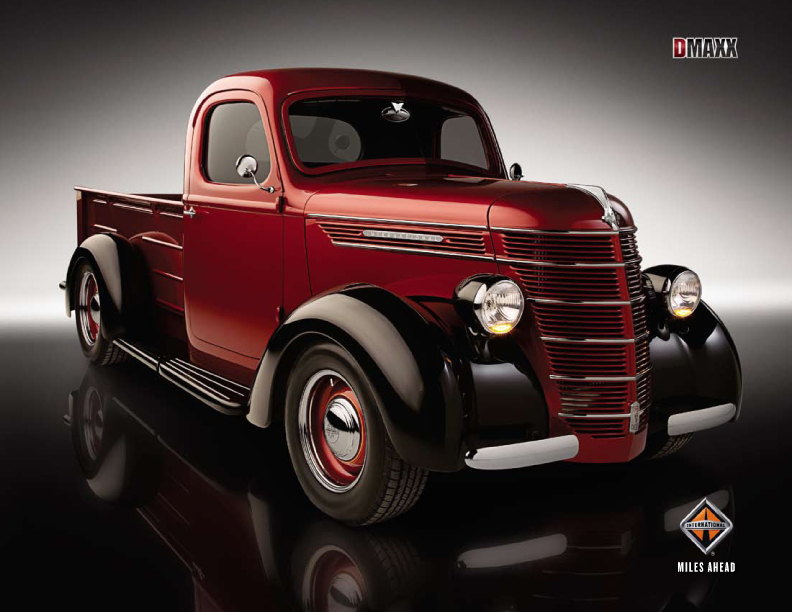 Built on a specially designed Roadster Shop chassis, the dropped I beam front axle keeps the look traditional, as well as featuring American Speed's new 1933 grille right up front. Beautiful!. 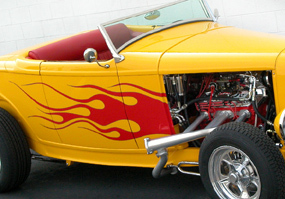 Hailing from Bakersfield, CA, Marty hits all the high-end West Coast venues like the LA Roadster Show and the Good Guys Pleasanton Show. 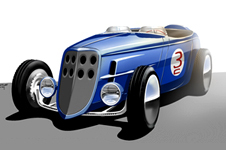 In May, 2012, Marty’s Speed 33 took a First Place, Best in Show at the Wheels and Waves Classic Car and Hot Rod Show in Santa Barbara. This Tangelo Orange gem turns heads any where it goes. 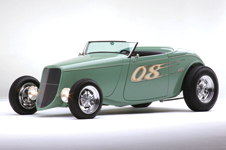 Engine: Roush fuel injected "402"
This Speed '33 hot rod roadster from American Speed and the Roadster Shop was commissioned by the GoodGuys Street Rod Association as a special build for the 2008 and 2009 seasons. Given away on Sunday, November 22nd, 2009 during the awards ceremony for the 12th Southwest Nationals in Scottsdale, Arizona, the hot rod found a great home for the lucky winner! Lucky is an understatement when you consider the all steel convertible body, Roush 402IR powerplant and excellent Roadster Shop chassis. 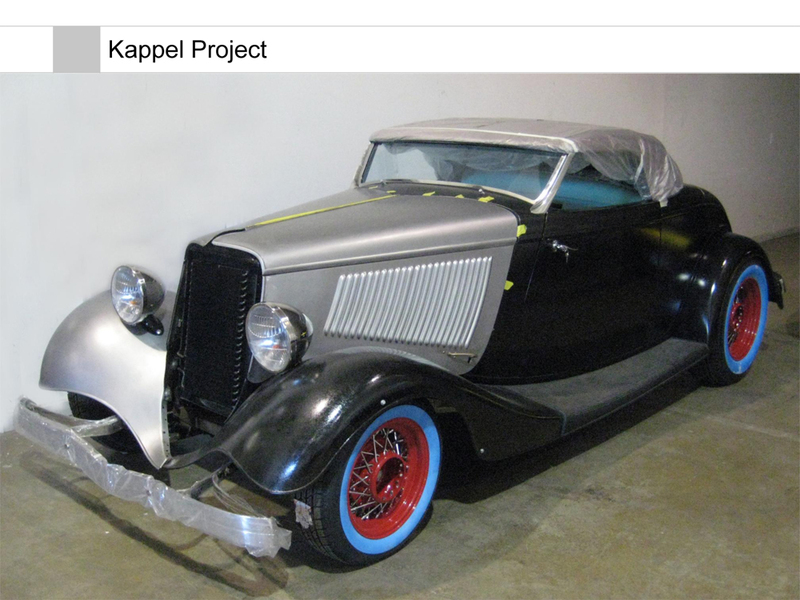 Didn’t know that American Speed did custom convertible top development? 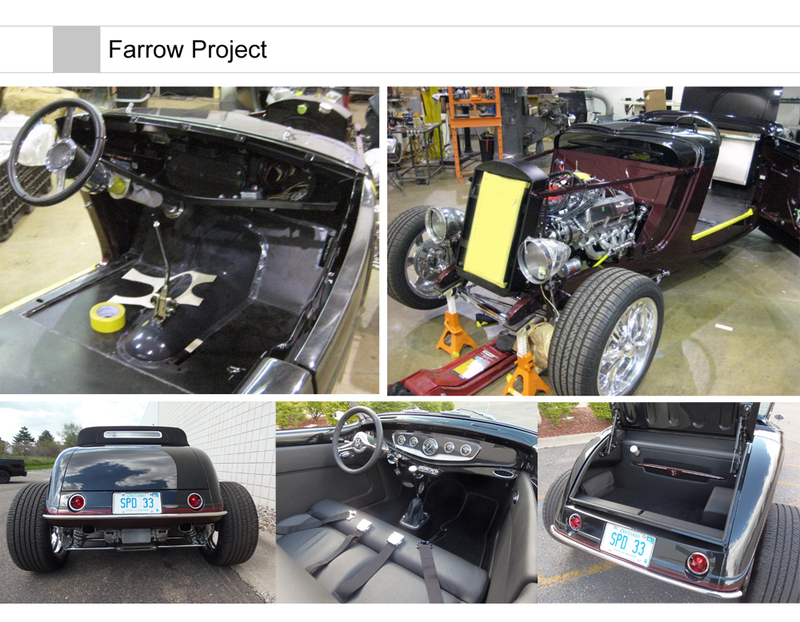 Look no further than this recently completed one-off development project of a full-folding top for a Downs ’35 Chevy Cabriolet body. 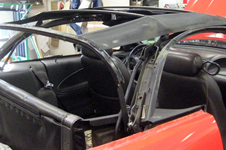 Convertible Top replacements – Don’t forget stock convertible top replacements too! 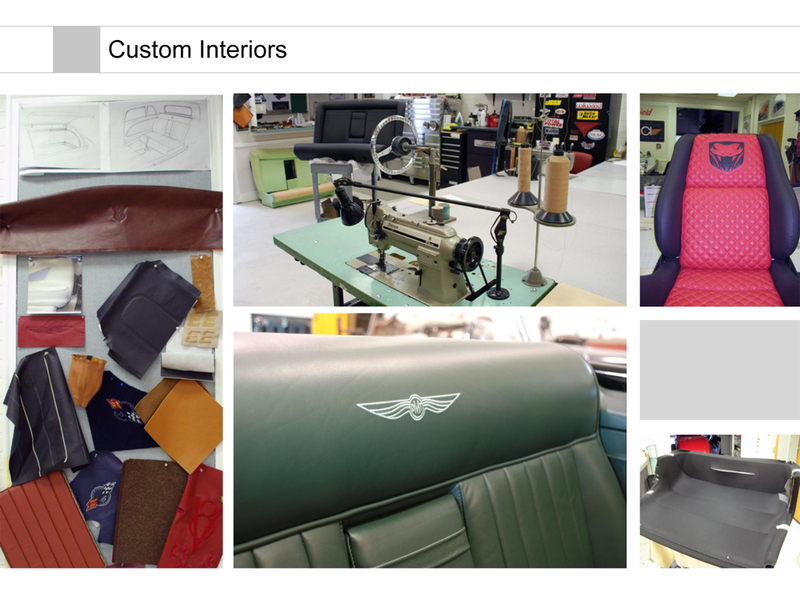 And of course our trim department has been at it with customer upholstery projects of all kinds – stock seat recovers, custom street rod interiors, convertible top replacement, and more. 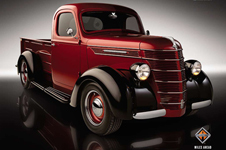 The DMAXX began life as a 1939 International D-Series "half ton" pick-up. 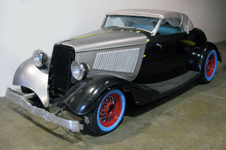 It was found at George Mitchell's Nollenberger International Dealership in Toledo, Ohio. 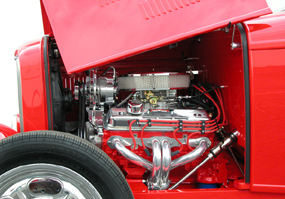 Shipped to Plymouth, Michigan, home of both American Speed Company and Special Projects Incorporated who together collaborated with International Truck and Engine Corporation on the transformation of the DMAXX. Totally rebuilt and reborn the DMAXX, sporting a mild chop and shaved trim is unmistakably an International D-Series. Debuting at the 2008 Chicago International Auto Show, this American legend became the inspiration for International’s new 2008 LoneStar class 8 truck. 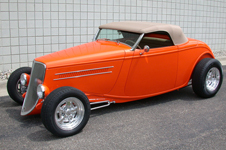 This no-frills, all-steel roadster body is a standard Speed 33 body with all the mounts and supporting framework included for the folding top, stainless windshield, and power window assemblies, but those components are not included, and may be ordered later. We think it’s a good time to meet the market where it is by offering the customer a lower-priced choice. 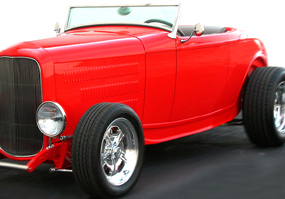 Other manufacturers sell bodies that don’t come as fully equipped as the Speed 33, so the Speedster option serves to level the playing field. Our competitive advantage is that the customer can upgrade our body later if he wishes. In the current economy, we believe this kind of flexibility will benefit the company and the customer as well. The upgradeable bodies are designed to be racy, low-slung hot rods with early-era styling elements such as individual windscreens and a new “full face” grille filler that the individual owner can be drilled and modify to suit his own taste. 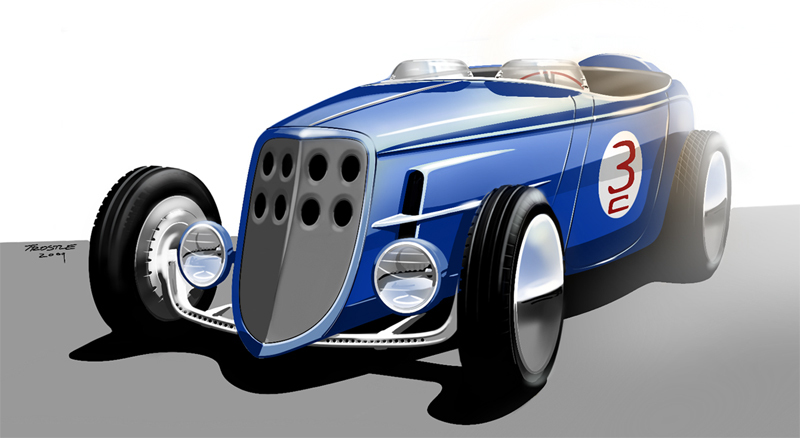 A rendering of the new Lakes Racer demo car that will be displayed during the 2009 season is shown here. 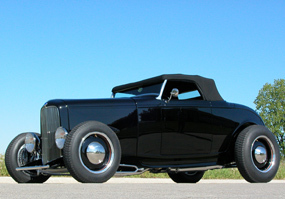 Mark Trostles' personal hot rod project featuring old school style and quality craftsmanship. 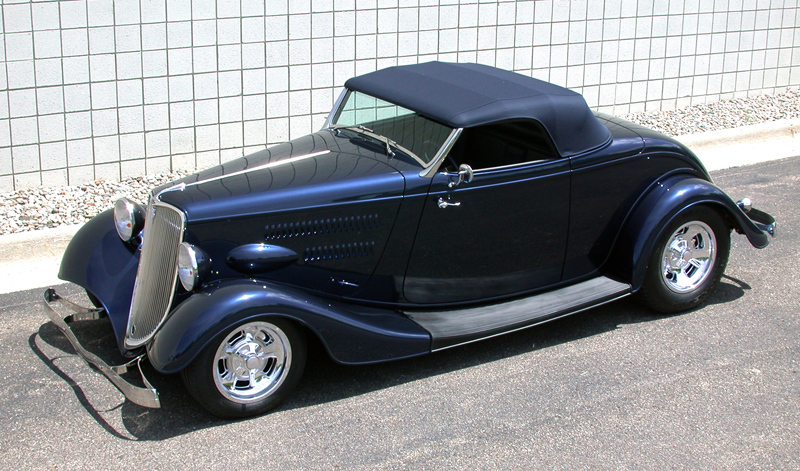 Dearborn Deuce body #268, designed and built fully integrated, completely concealed modern convertible top, with custom Haartz RPC material. 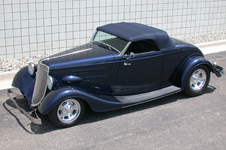 Modified grille shell and custom 4-piece 25 louver hood by Rootlieb and American Speed Company.